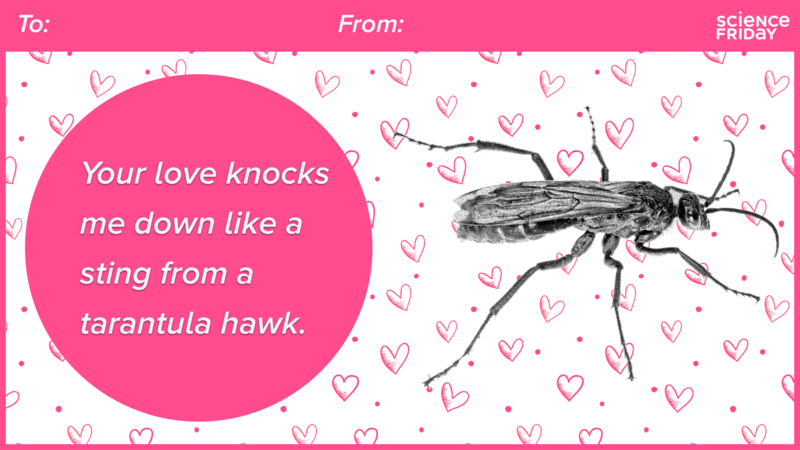 There’s only one way to say ‘I love you’ in 2019: with science. 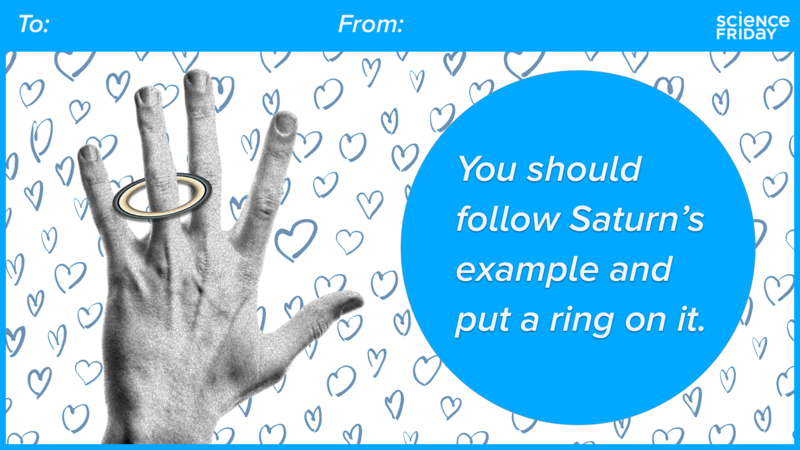 Are you the type to shy away from the phrase “I love you?” Not because of any lack of feeling, but because you want to say it in the most romantic way possible—with science? Let us know you used them! Tweet us a picture @SciFri. And be sure to check out the valentines from 2018, 2017, 2016, and 2015 for some more chemistry. 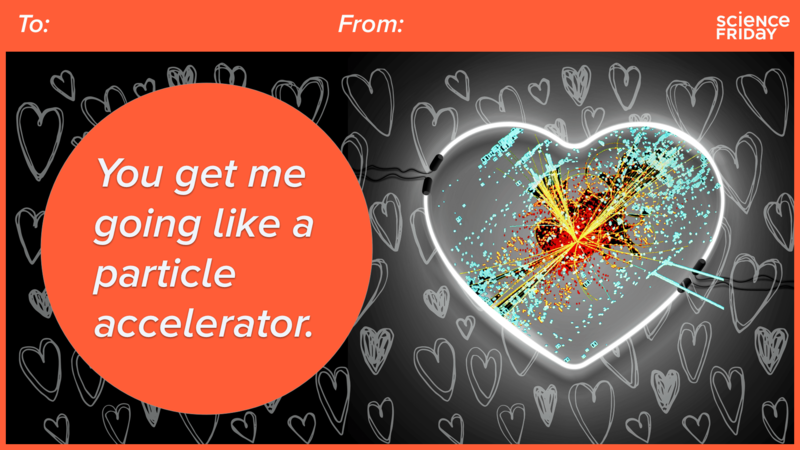 Share these punny science valentines with the special scientist in your life.